Roaring Brook Press, 9781626723344, 32pp. 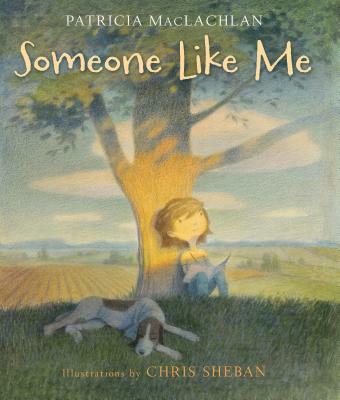 Follow a little girl in acclaimed writer Patricia MacLachlan's semi-autobiographical picture book, Someone Like Me. Filled with gorgeous and thoughtful illustrations by Chris Sheban, learn what it might take to grow up to become a writer. Chris Sheban won the Gold Medal from the Society of Illustrators for his radiant illustrations in THE STORY OF A SEAGULL AND THE CAT WHO TAUGHT HER TO FLY by Luis Sepulveda. His artwork has also graced the covers of several award-winning novels, as well as picture books. He lives in Northbrook, Illinois.